At Wilderness Lodge, the only counter service (quick service) location is Roaring Forks. It is accessible from within the main Wilderness Lodge building, but is located at the very back and east side of the common area. The dining area is on the small size (in relation to the size of the resort) and can be loud whenever there are more than a few guests dining at the location. Stone walls, stone floors and large wooden columns do not absorb much sound. 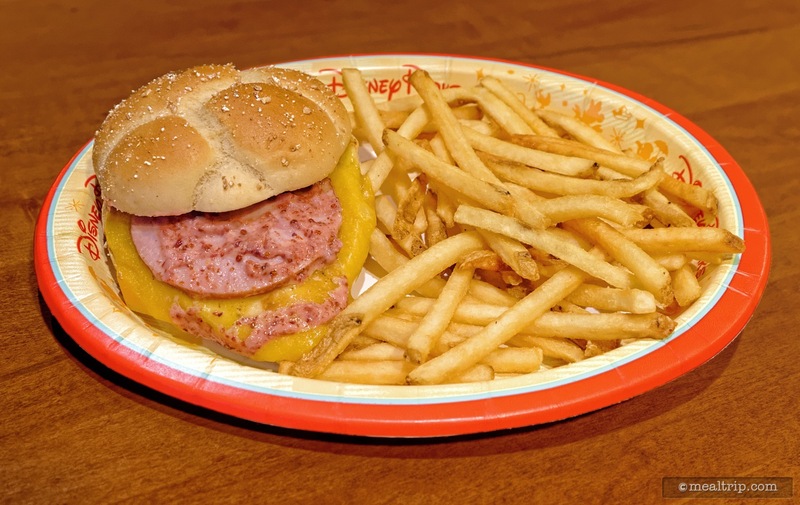 The lunch and dinner menus are largely the same and include mostly hot and cold sandwiches, salad, pasta, cheeseburger, chicken nuggets and pizza. 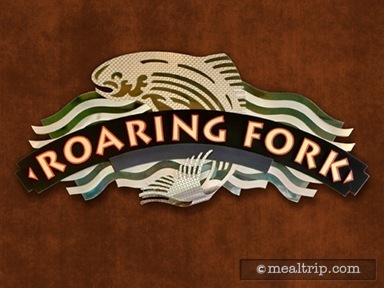 You might miss the Roaring Fork if you're not looking for it. Tucked out of the way and around the corner from anything that would be considered a "main area" at Disney's WIlderness Lodge, it's cave-like nature hides the little counter service dining option from a lot of would be passers by. It's probably for the best. 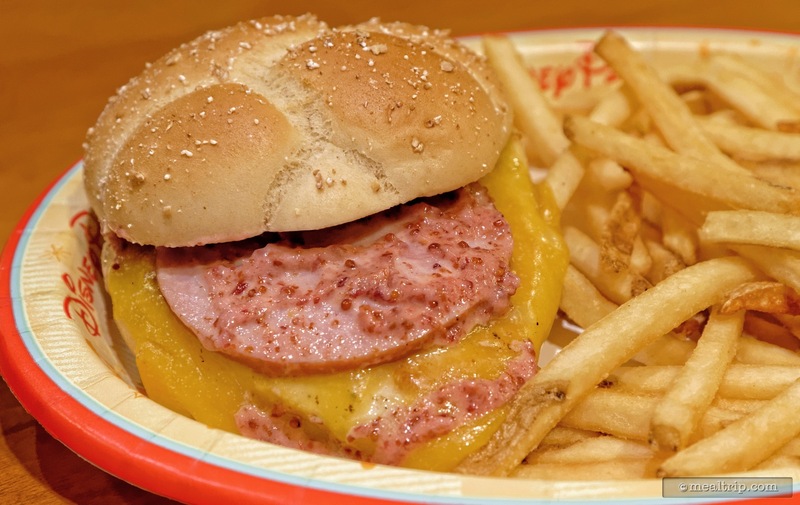 The location really isn't that large (relative to other counter service dining options at Disney resorts), and so far, I've found the food to be somewhat nondescript as well. Always on the lookout for unique items, I stopped in to try the "Grilled Northwest Chicken Sandwich" served with Canadian Bacon, Wilderness Sauce and Cheddar Cheese. As much as I really wanted to like the sandwich, there just wasn't any flavor, anywhere. I hate to say it, but you're average, run of the mill, grilled chicken sandwich from McDonalds packs more of a flavor punch, (seemingly with fewer ingredients) than this little guy… and at less than half the cost. The most obvious "unique" item on the sandwich would be the "Wilderness Sauce" that (I think) is supposed to be similar to a rustic Russian dressing. It was a little sweet, and very odd looking on the sandwich... but really didn't bring any distinct flavor or texture to the party. The extremely mild Canadian Bacon (i.e. slice of boiled ham) covered whatever the chicken was trying to do flavor-wise, and the whole thing just didn't have any kind of "punch" or wow factor. A chicken sandwich… and that's all. The fries were without a doubt, the best thing on the plate. 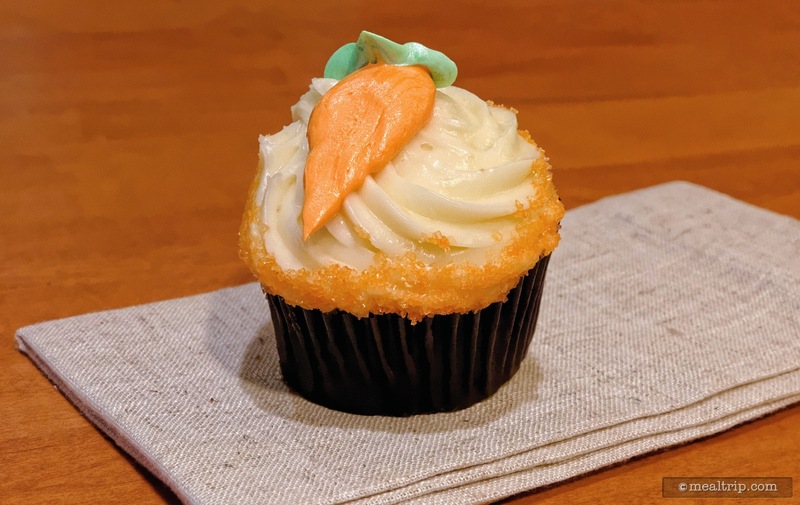 Because I needed a little bit of flavor in my day, I also picked up a Carrot Cake Cupcake for dessert. 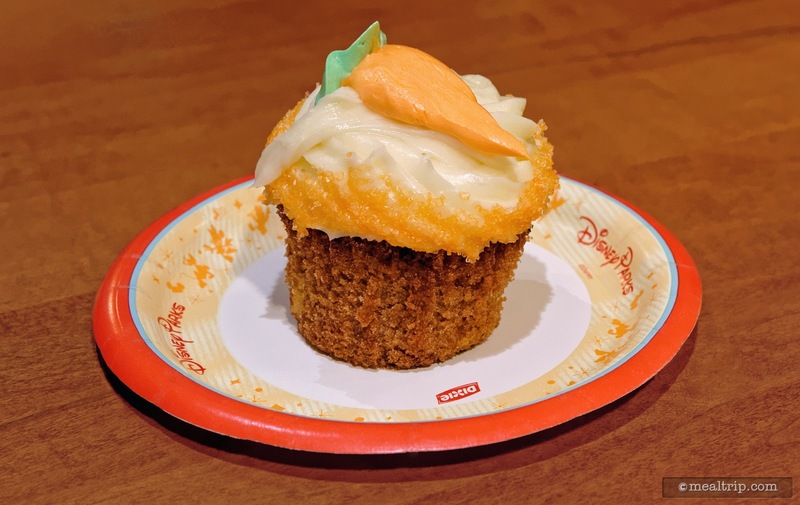 This bakery item is not hard to find around the Disney park system. It's kind of a "staple" cupcake. This one was great… the spiced flavors were present, a little of the dense course carrot cake texture, enough cream cheese icing that you may (or may not) have some to spare, and the large grain sugar crystals gave the whole thing a really nice crunch and a bit of texture (and sweetness) with the cream cheese icing. All in all, another great dessert. It looks like in the near future, (because of expansion at the Wilderness Lodge), we may just see another restaurant come online at the popular resort. With the nature of how this sort of thing works at the present-day Disney, a more senior level chef will eventually be called in to sprinkle a little magic over all of the dining locations at the resort, and that can only mean better things ahead for Roaring Fork.